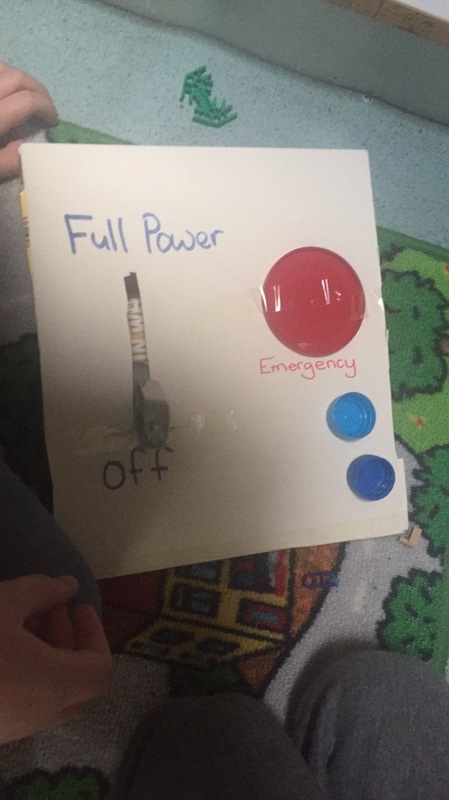 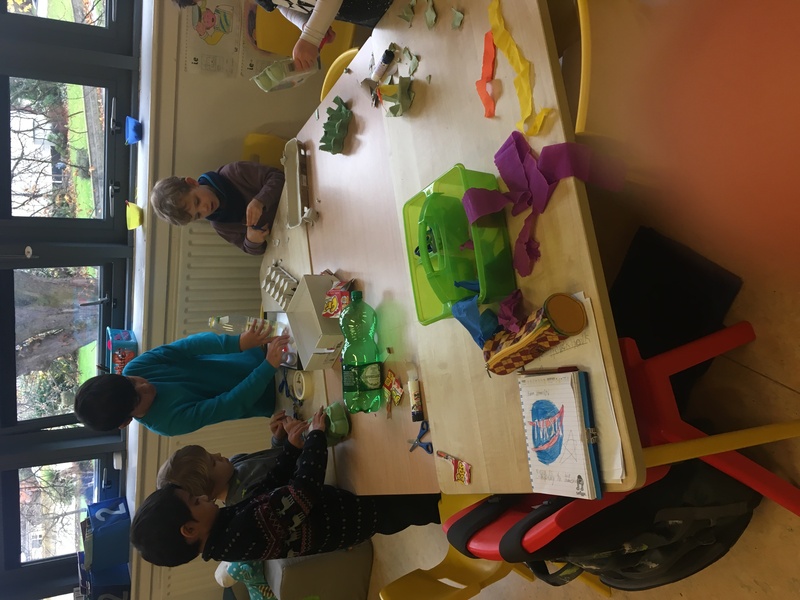 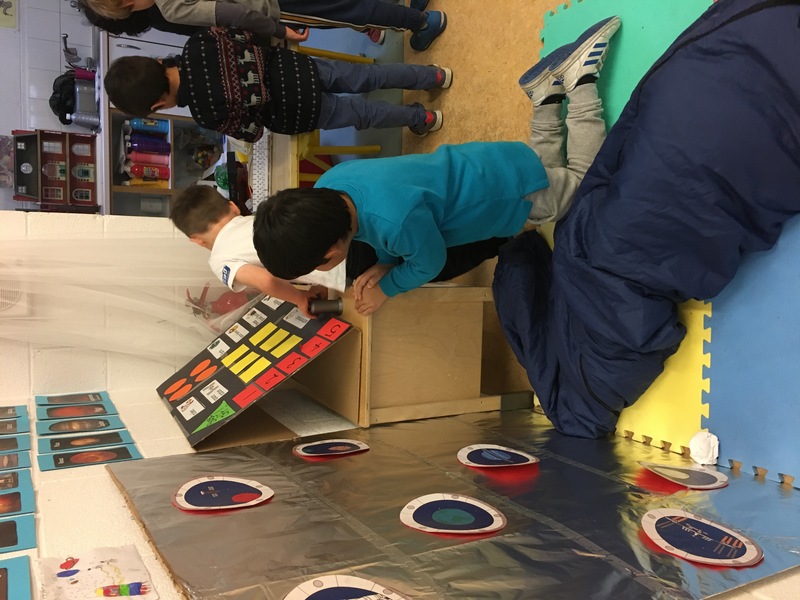 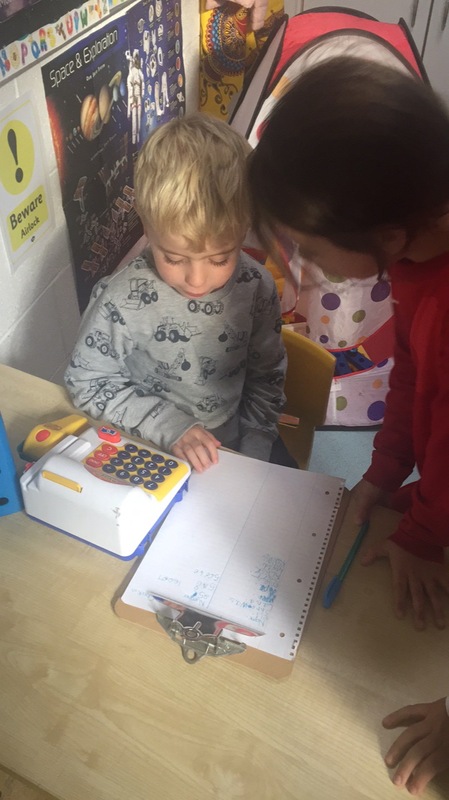 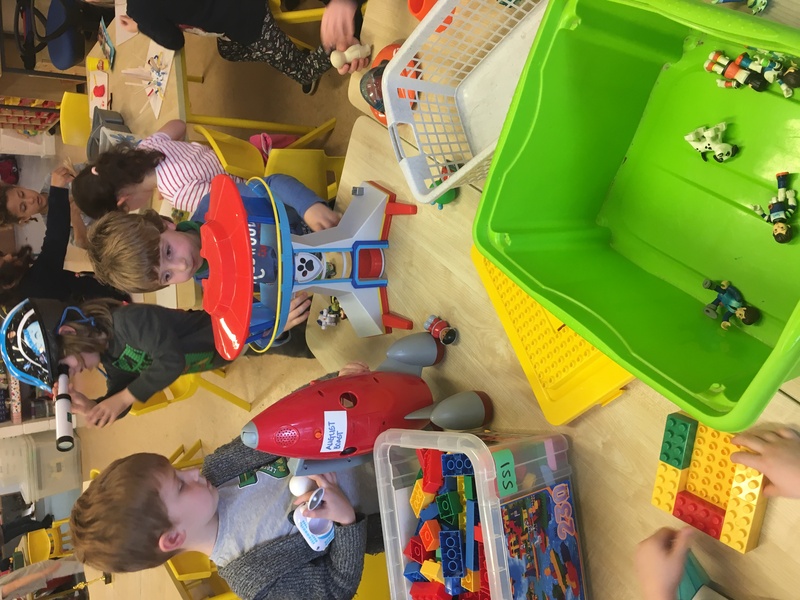 This year, for Science Week (November 11th -18th), the whole school decided to focus on the theme of space. 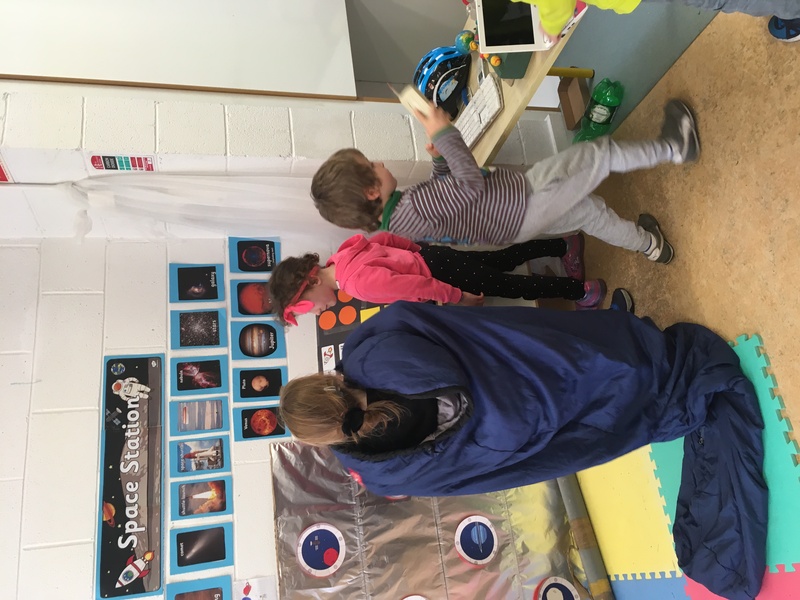 The children loved learning about night and day, the planets, the life of an astronaut and much more. 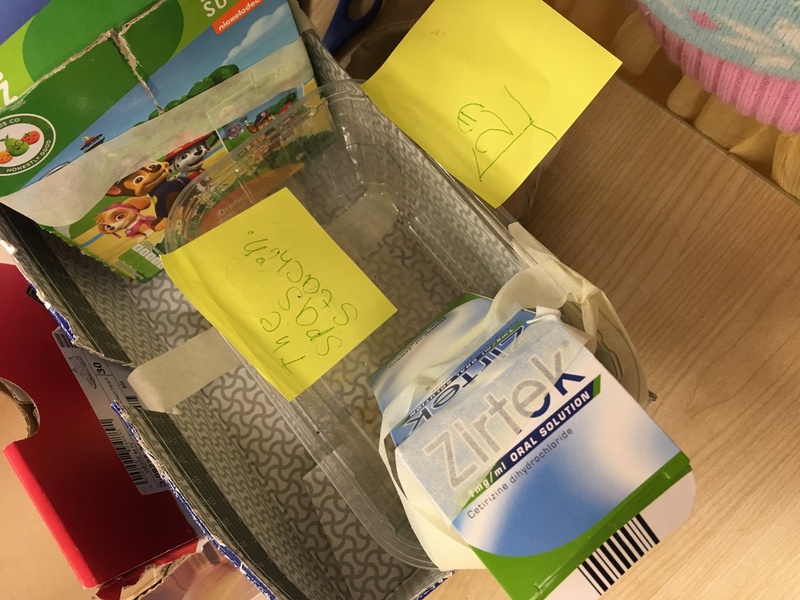 We read lots of stories which tie in with this theme like ‘Man on the Moon’ and ‘Alien’s Love Underpants’. 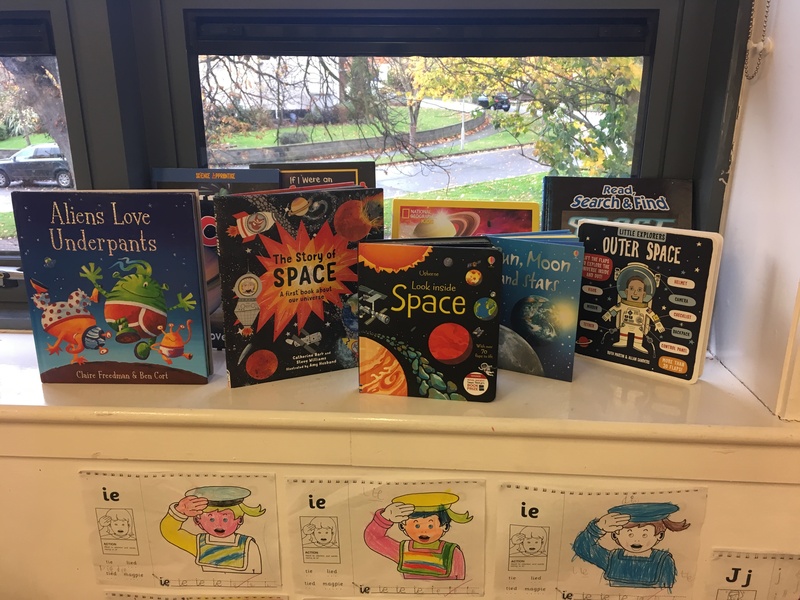 The children also brought in lots of space fact books for us to read. 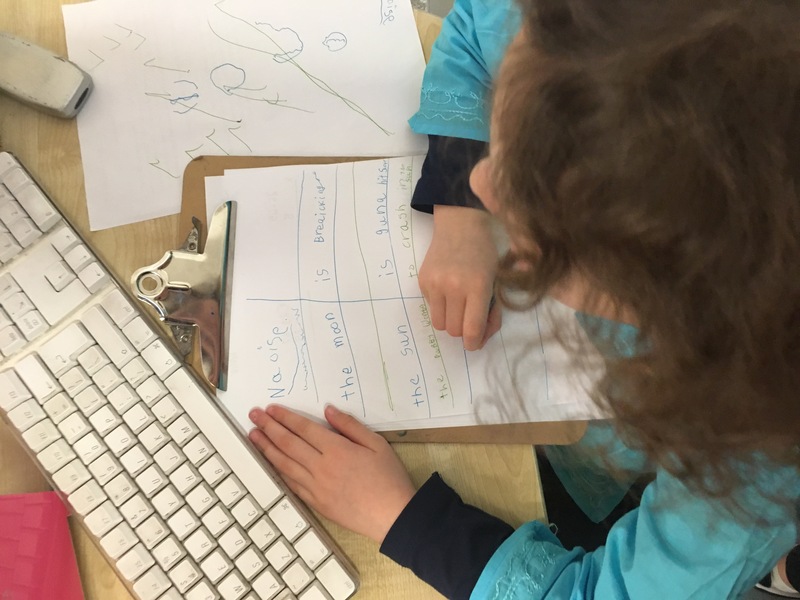 We also did lots of fun ‘space’ writing activities like ’10 things I would bring to space’ and ‘My Alien Poem’. 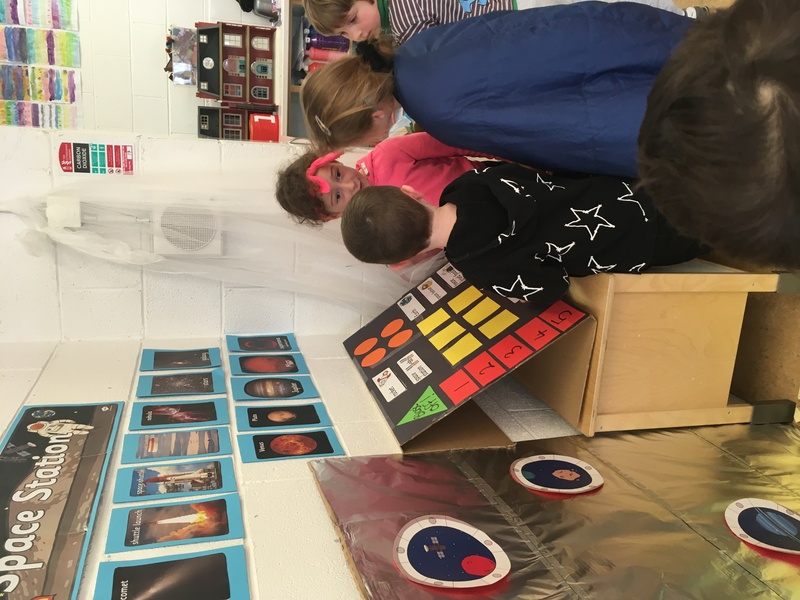 Our ‘Space’ themed Aistear was so much fun. 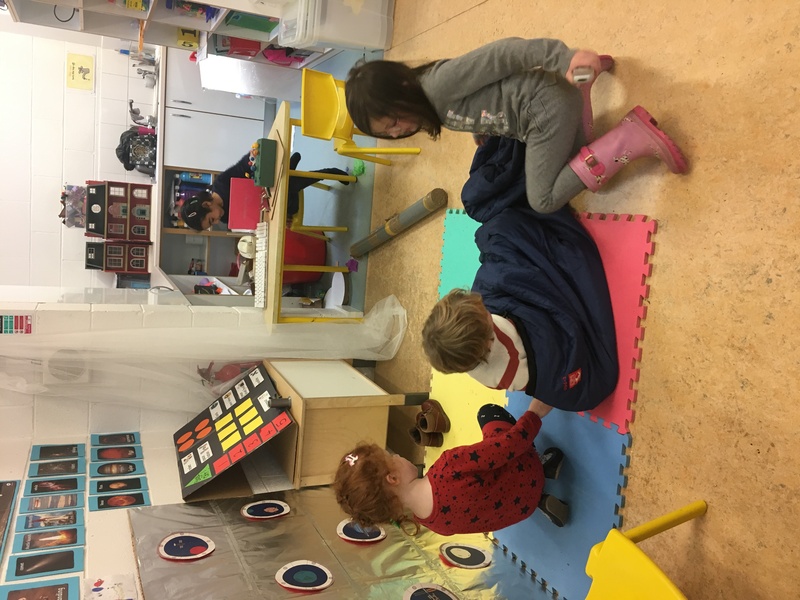 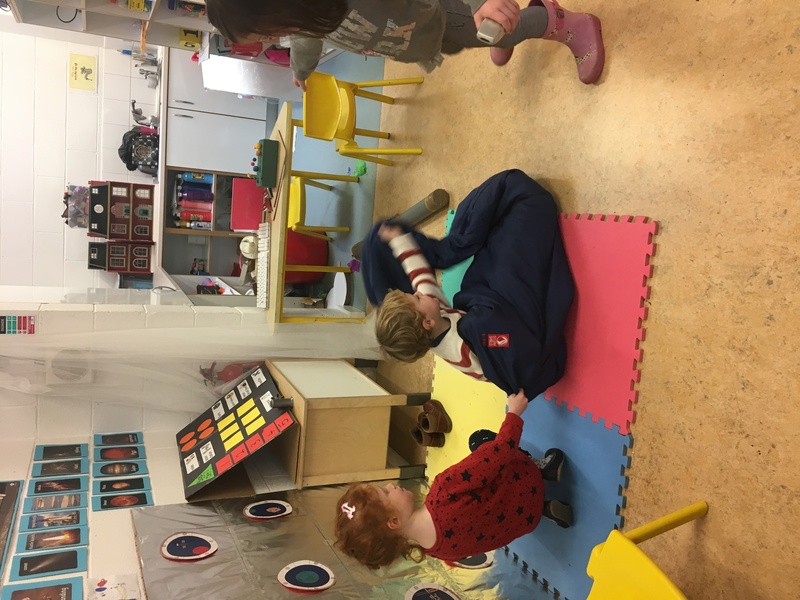 Our role play area was the International Space Station. 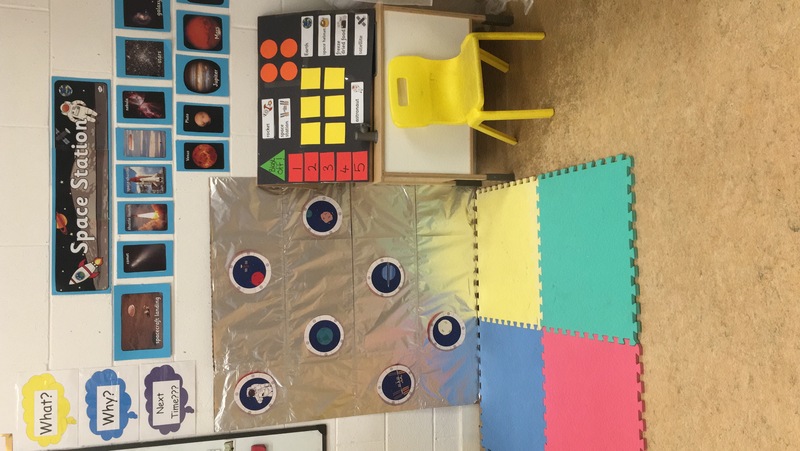 The children loved monitoring space for asteroids and exploring the moon. 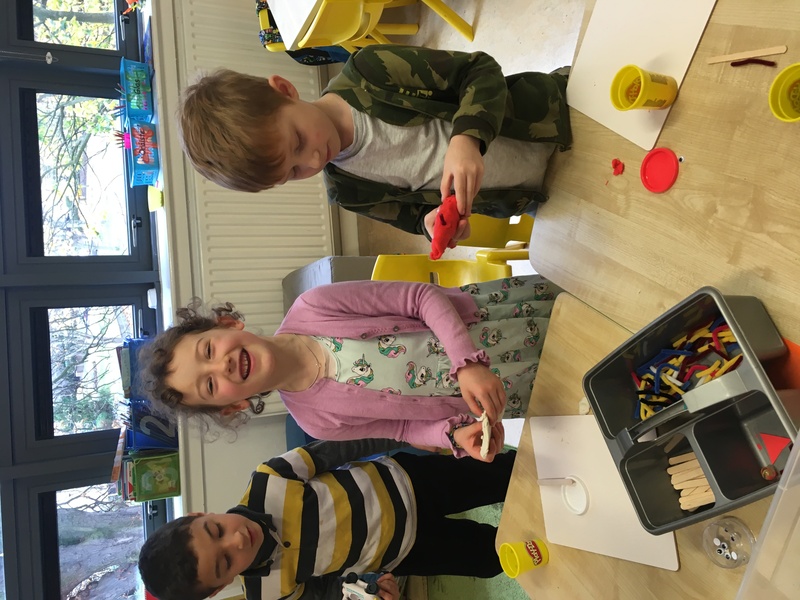 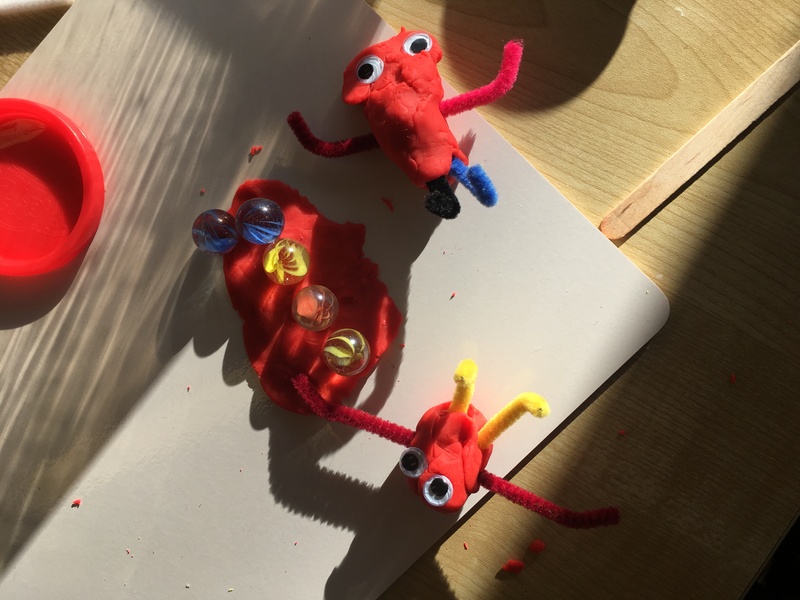 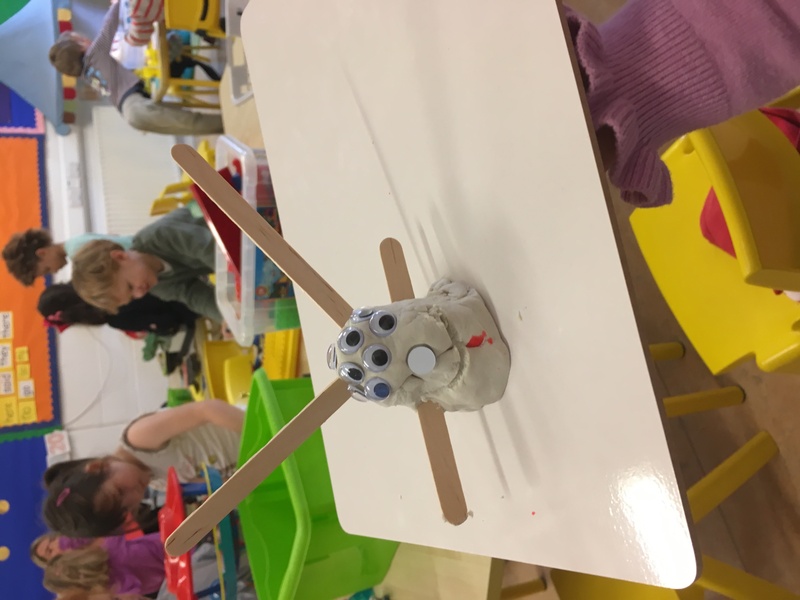 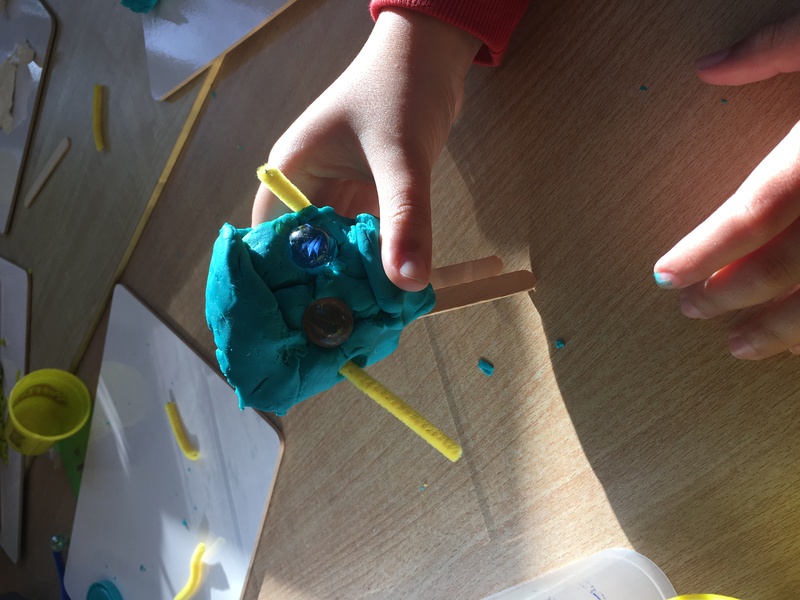 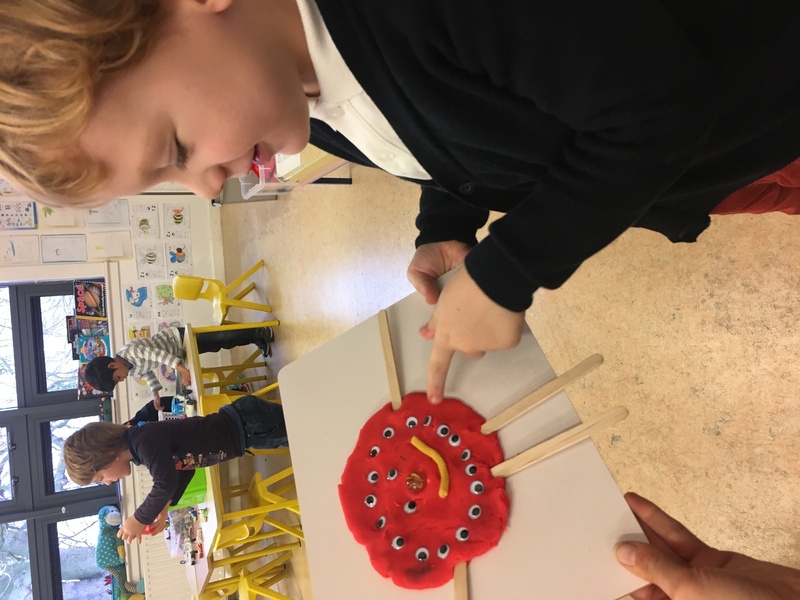 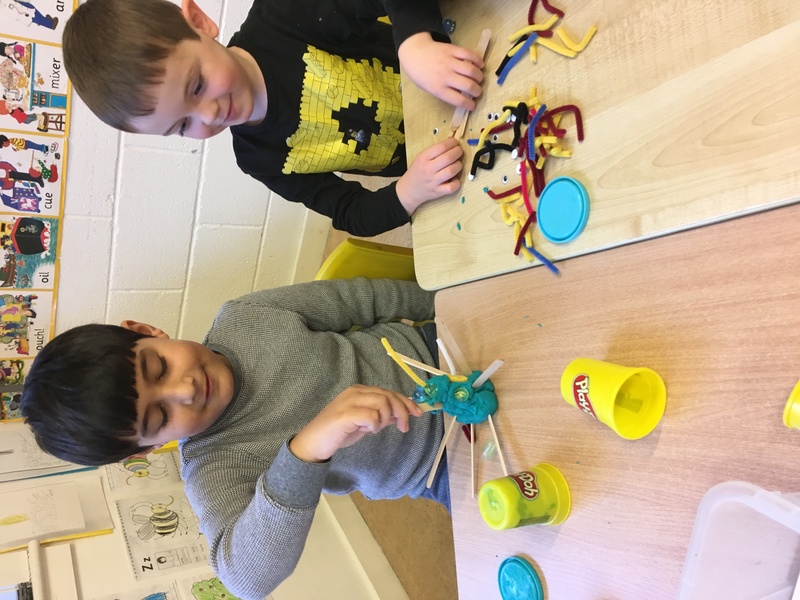 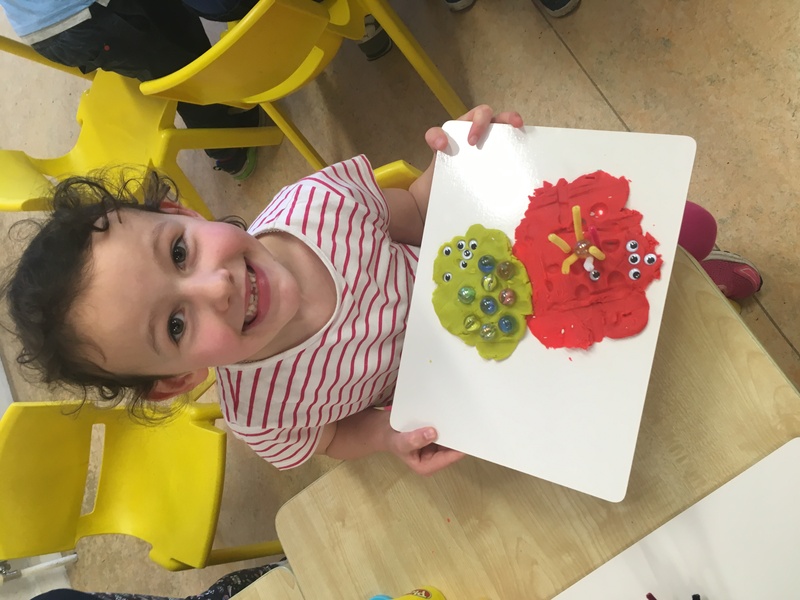 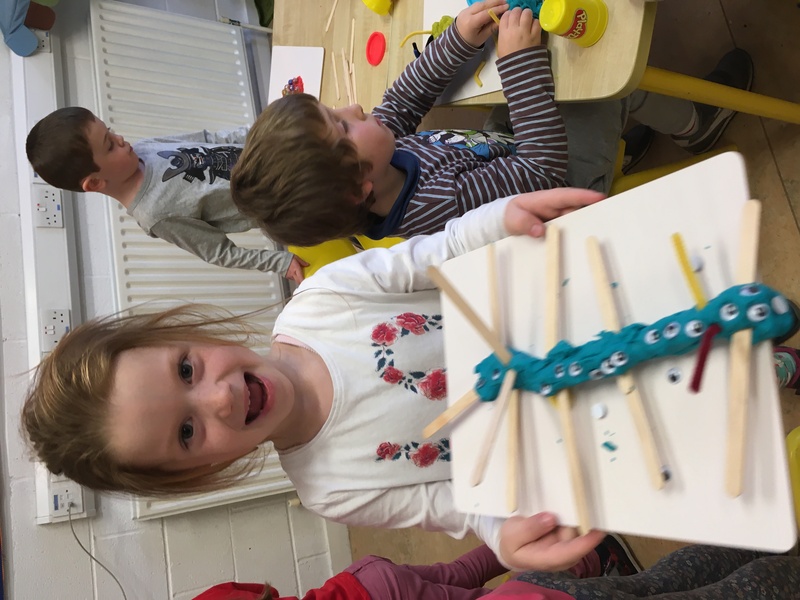 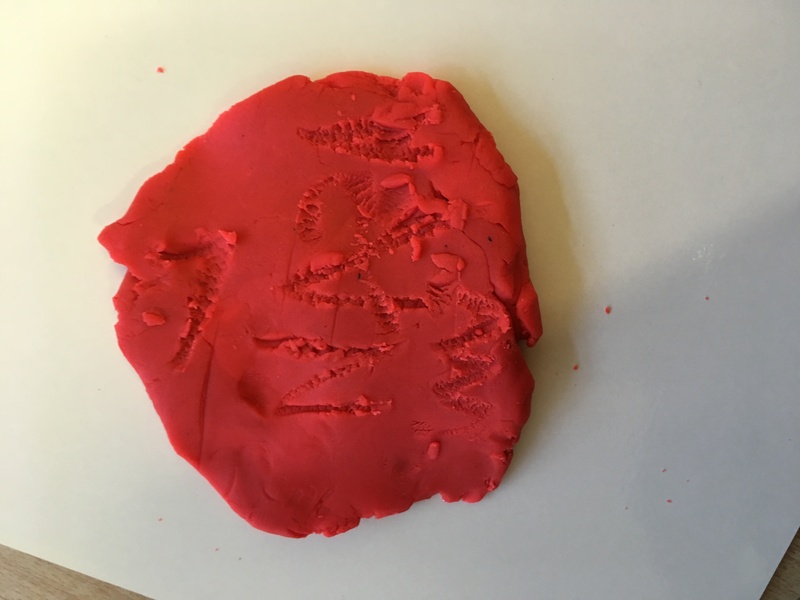 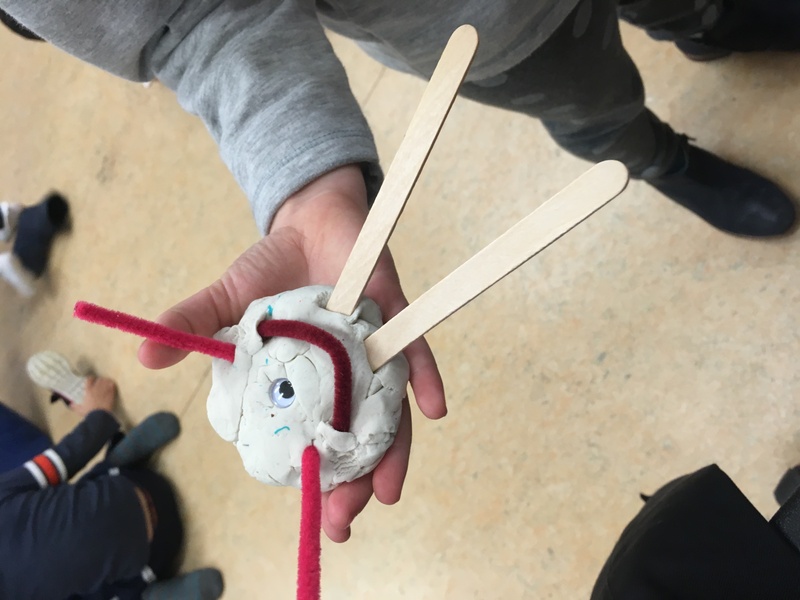 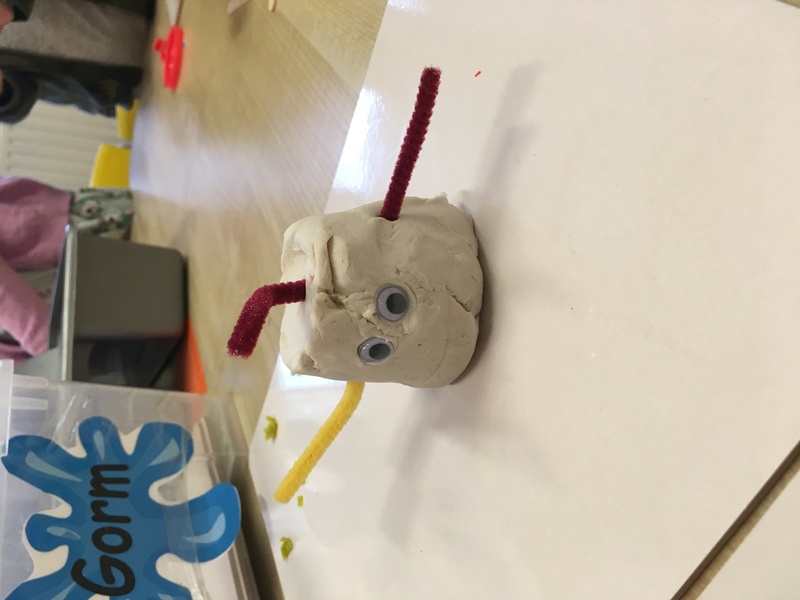 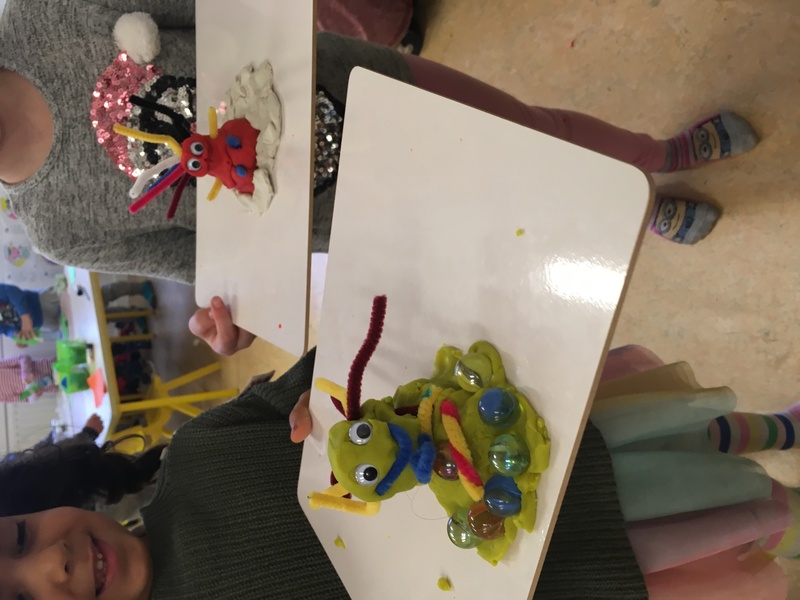 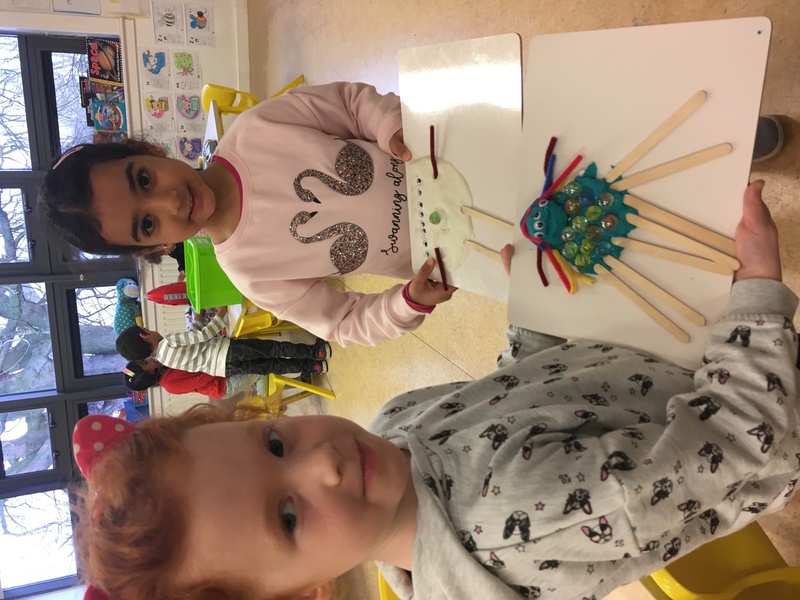 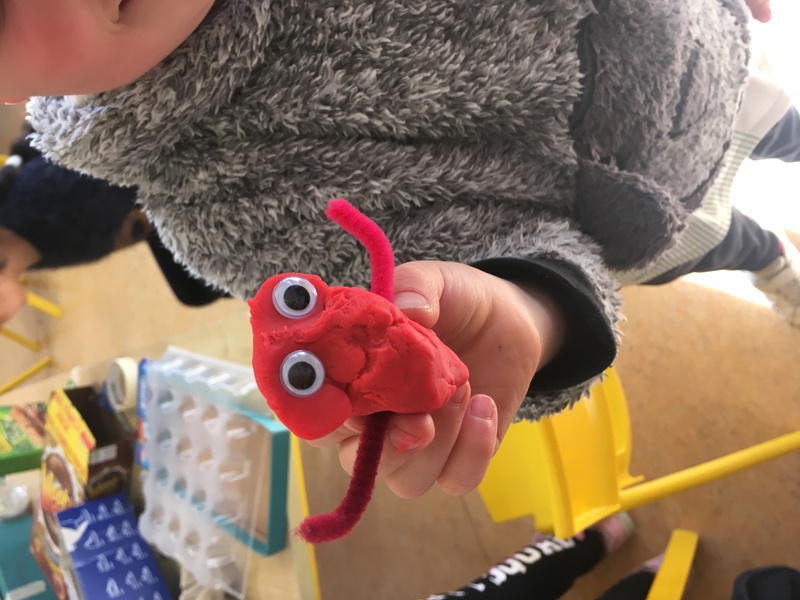 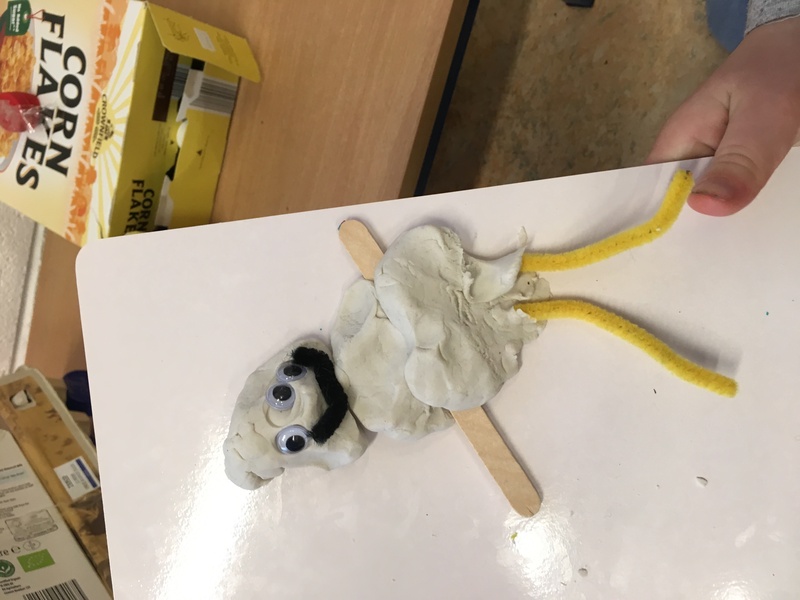 For sensory play we used play dough and lots of other materials like pipe cleaners, marbles and goggly eyes to make little aliens. 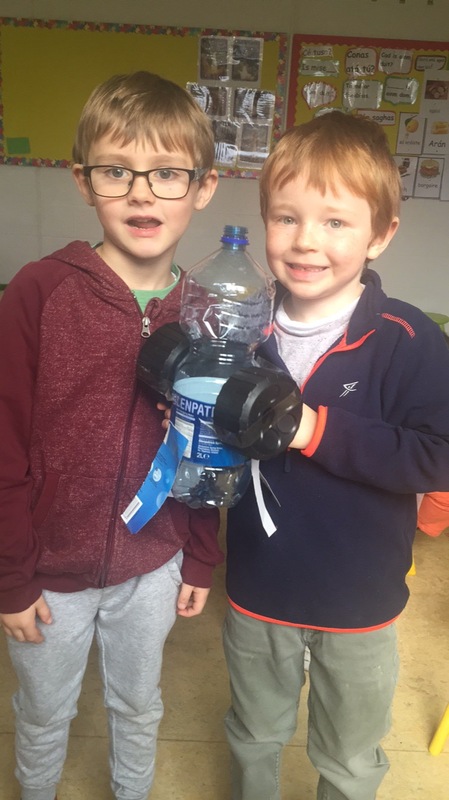 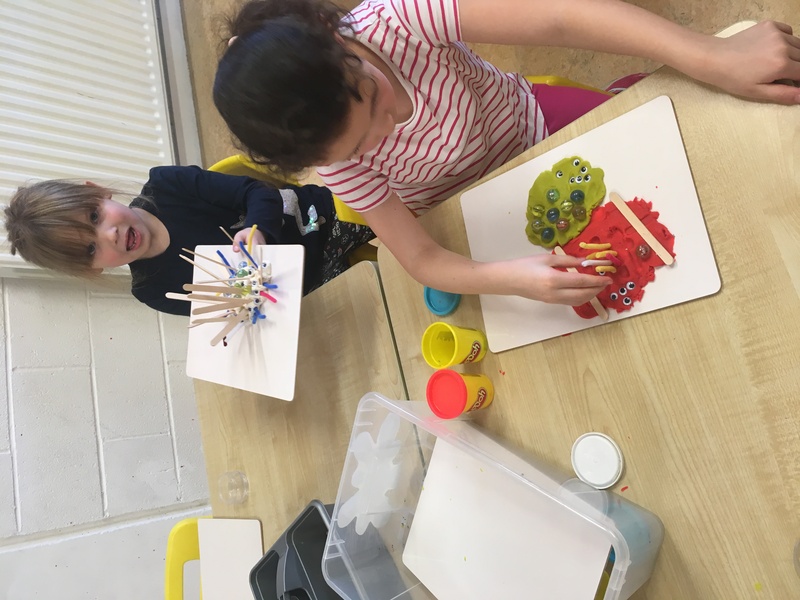 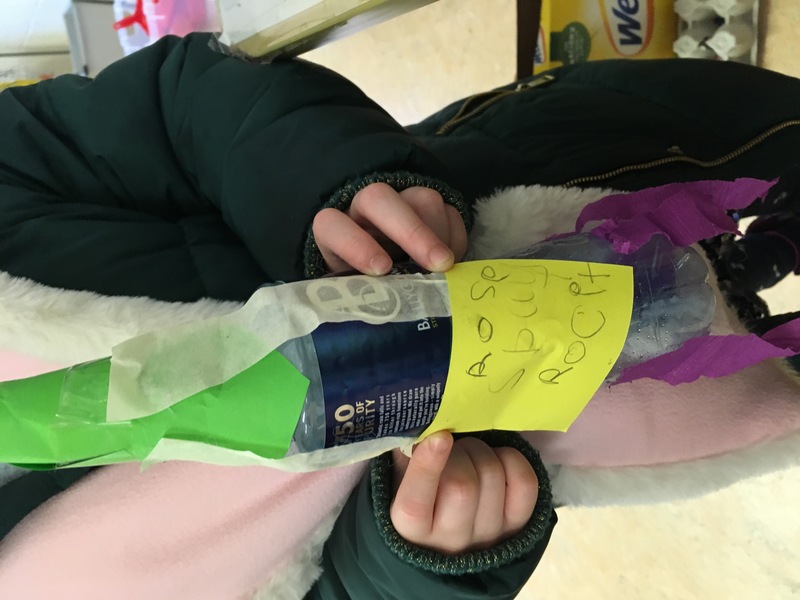 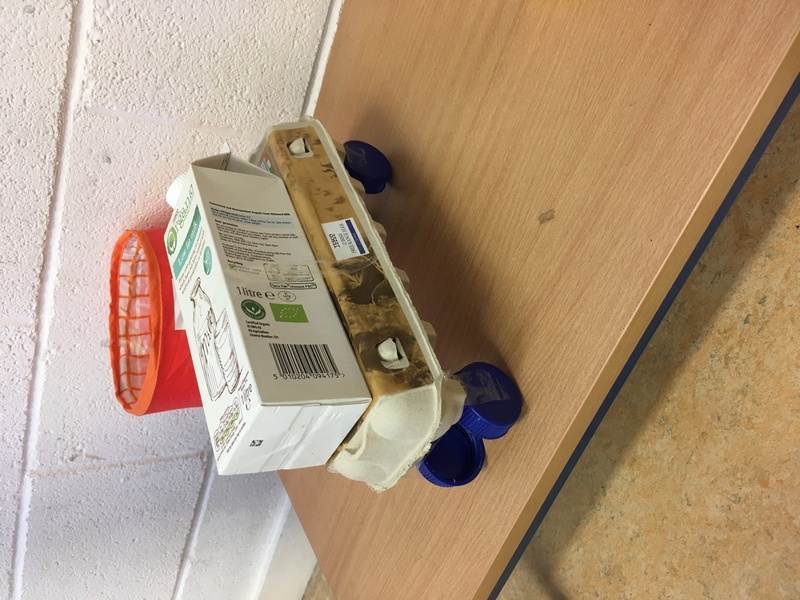 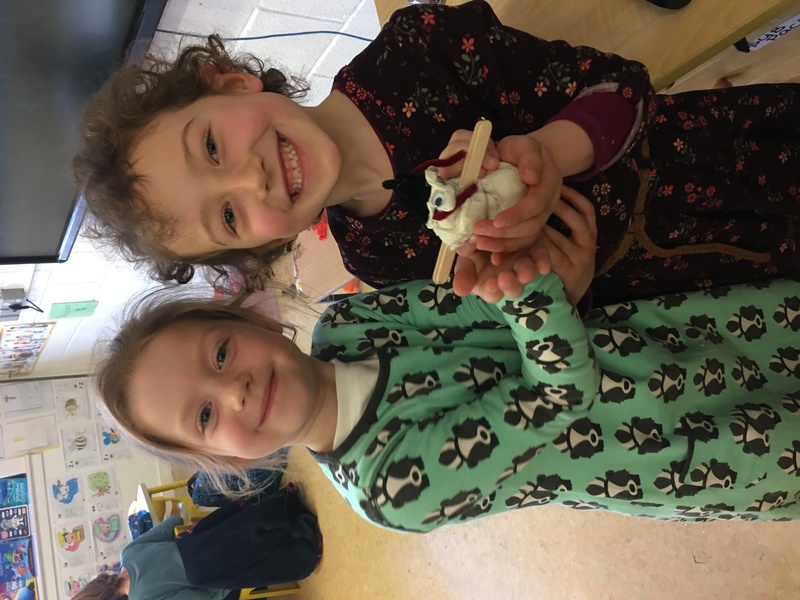 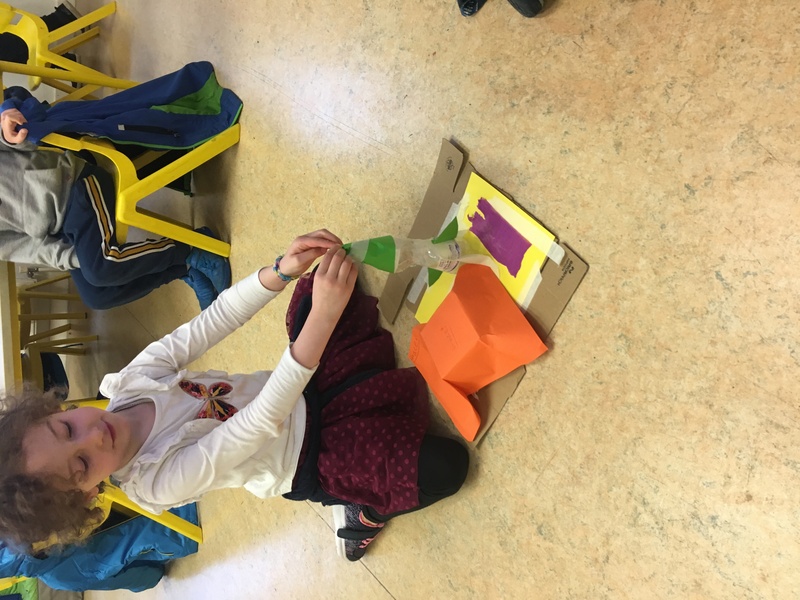 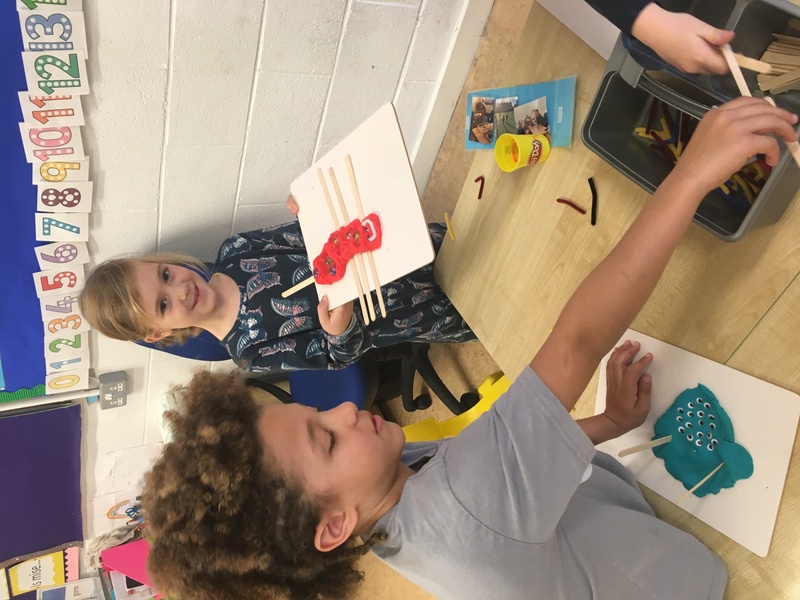 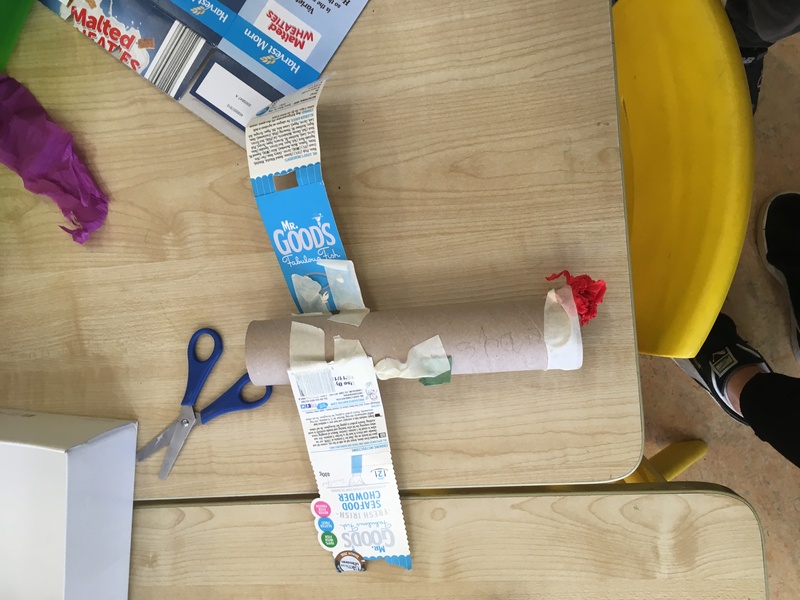 The children made super rockets, moon cars and space stations in using the junk art. 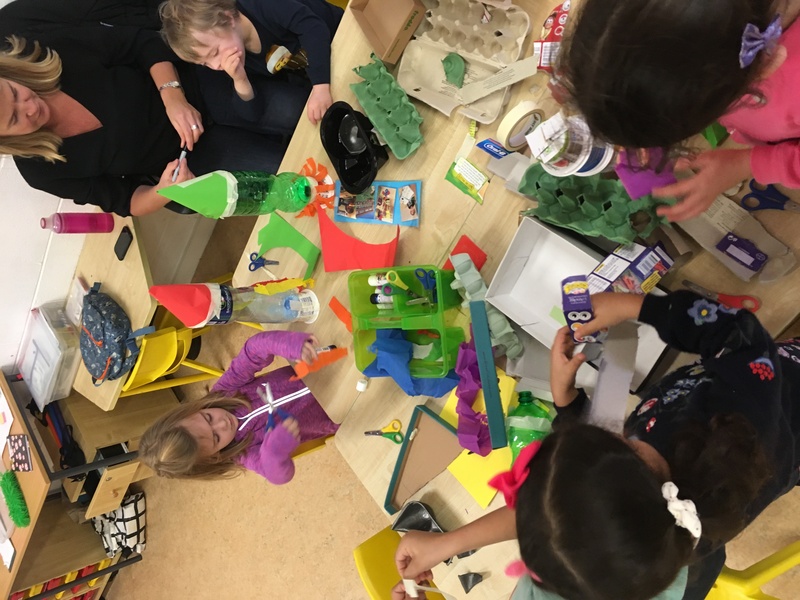 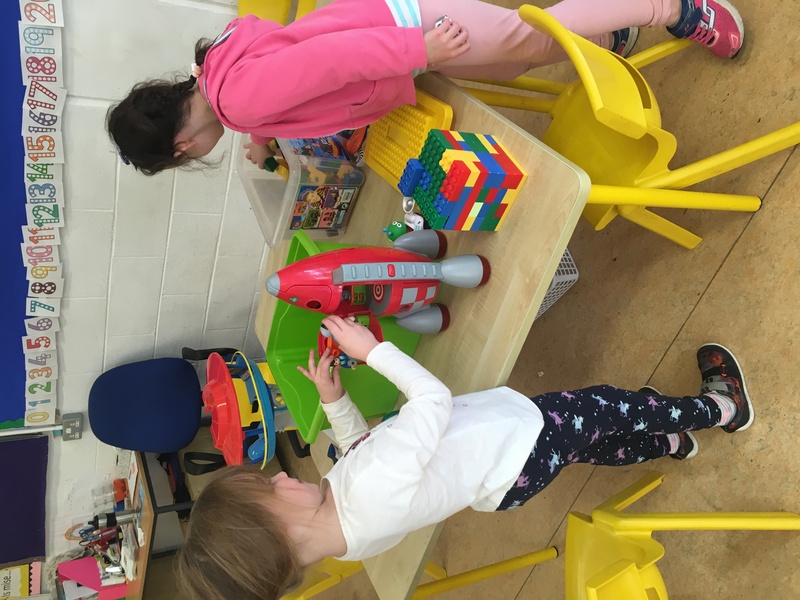 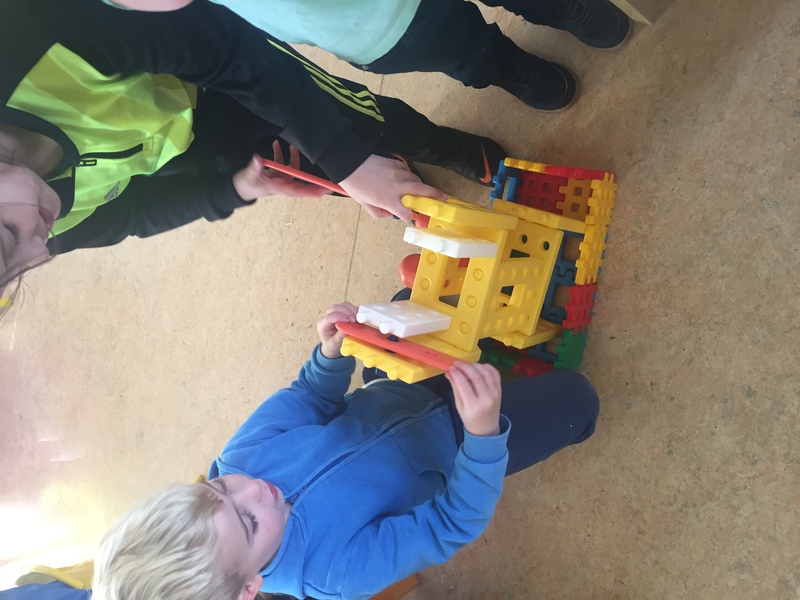 The children used their imaginations and the small world figures to explore space and all its’ wonders!